Not so fast, eager beavers — the iPhone 4S isn’t available just yet. The phone will launch Oct. 14 on three of the big four U.S. carriers (AT&T, Verizon and Sprint). 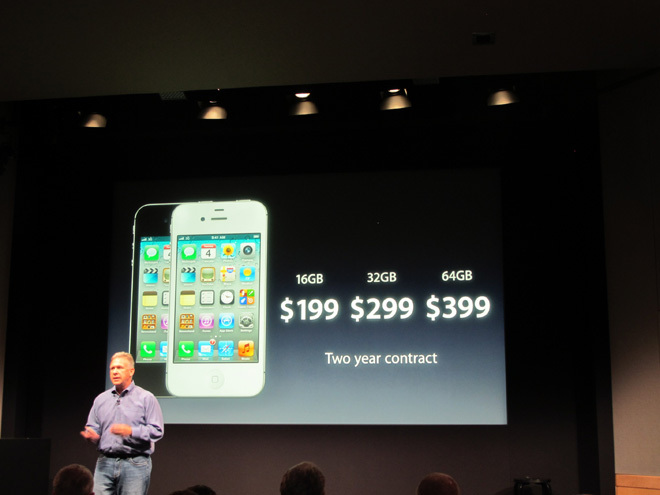 It will come in 16-, 32- and 64-GB versions at $200, $300 and $400, respectively. And yes, they’ll come in two colors: black and white. Preorders start Friday, so get your mouse-clicking fingers at the ready if you must own Apple’s latest, greatest iPhone.